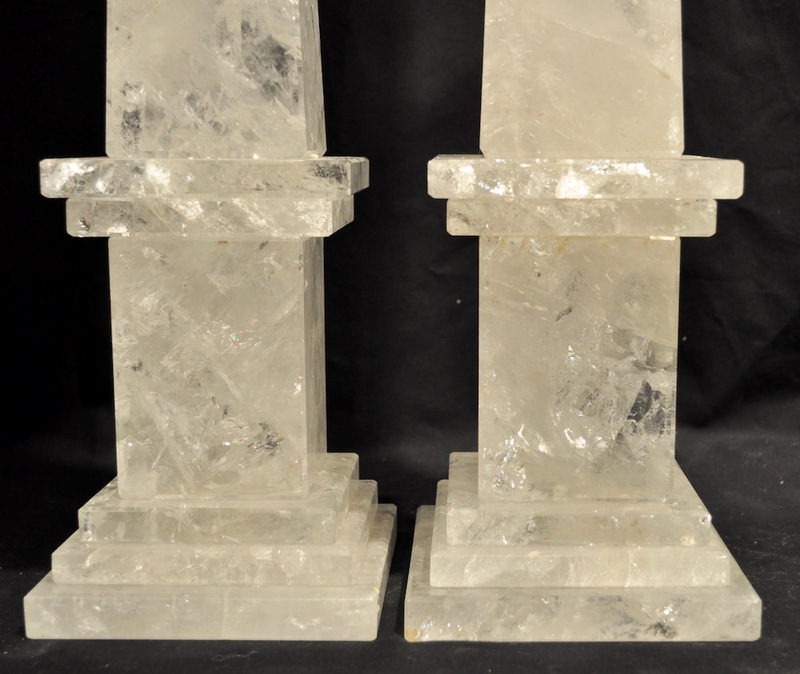 Impressive and very chic pair of tall rock crystal obelisks with wonderful occlusions in a classic design on a stepped platform. 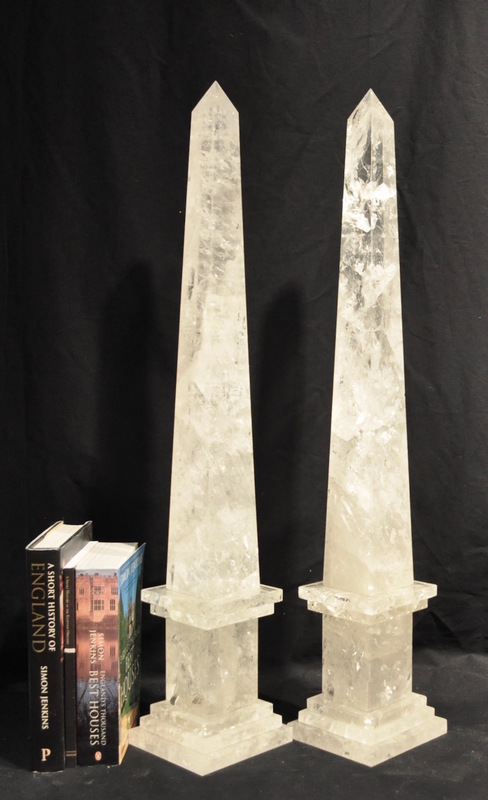 These would be dramatic on a dining table and grouped with other decorative objects! 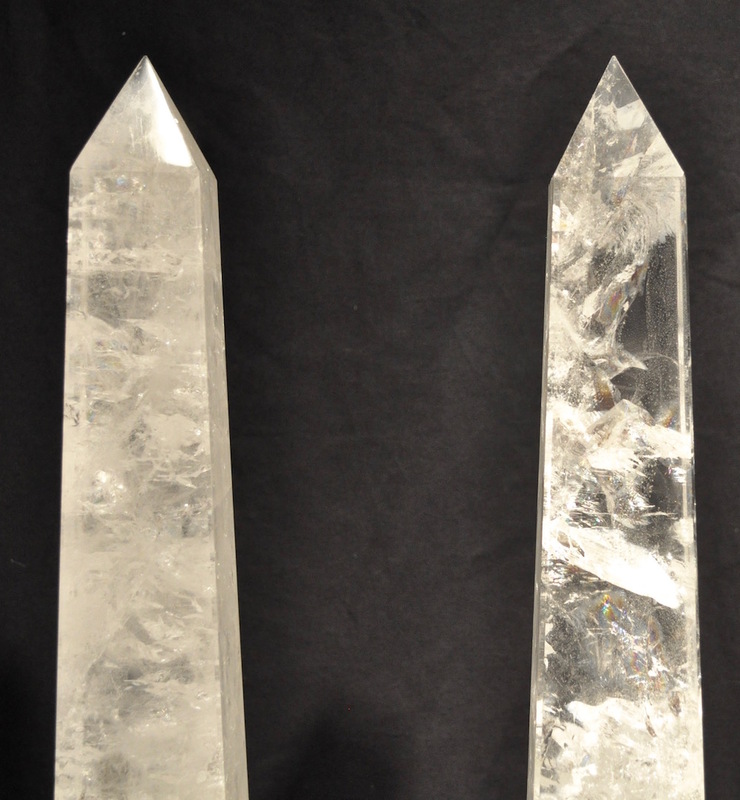 31 1/2 inches tall. Base is 5 1/2 inches square. 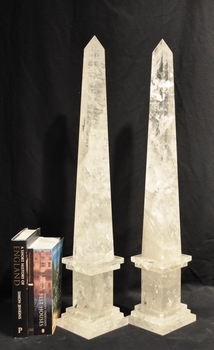 Both obelisks are in very good condition. One has been reattached at the step which is not evident to the eye. More photos available on request.